Google Page Speed is a good indicator of how speed is experienced by end users and therefore by Google. Google attaches great importance to speed because end users are simply doing the same. User experience issues, for example the use of non generic plug-ins. Schema.org is a collaboration between Google, Yahoo! and Bing to standardize the way data is structured in web pages. By using these standards these search engines are ‘snapping’ the content of your web page better, resulting in a significant SEO boost. The schema.org library contains descriptive tags for content like films, persons, organizations, events, locations, etc. The purpose of the search engine is to make search results more clear, allowing people to easily find the right web pages. 2015 brought us mobilegeddon: if your website is not mobile ready then Google will appoint you penalties resulting in a lower ranking. And rightly so, a large part of the website visitors are using internet on their mobiles; and you would like to give them a good experience. 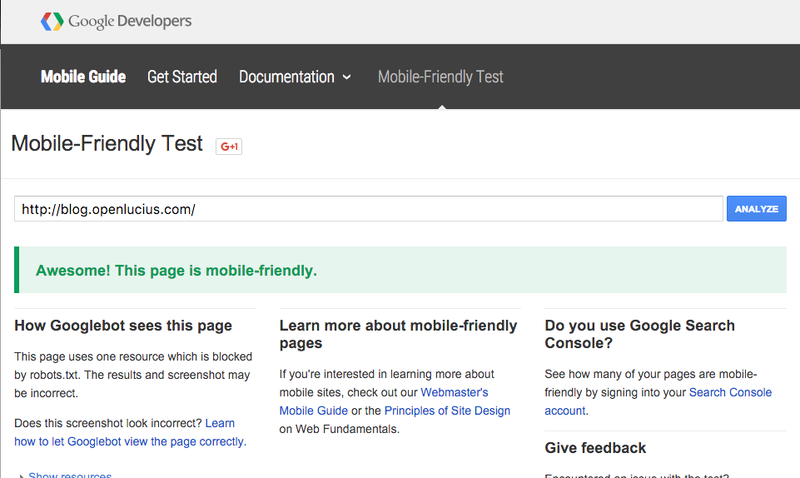 You can test here if your website is mobile compatible. Which keywords enable your pages to be found in the search results. What are people really clicking so that they land on your website. Links that are not correct. Links that are not accessible. Schema.org implementation: how is Google treating the enriched html pages. You have something valuable to promote on social media. You have an excuse to reach out to your potential customers. Visitors are staying longer on your website. Read here more details about the how and why. Backlinks, make sure you get links on other websites that are highly rated. Limit the number of relevant internal and external links, so that Google (and the — visitor) can better understand the context of your article. Analyze the (successful) competitors: discover where they are, what they link and how they dominate social media. Make sure your blog website is coherent, not a website with islands where non-cohesive content is separated from one another. Update regularly: check for example once every month your articles and improve where appropriate: cohesiveness, spelling mistakes, new insights, etc. Allow visitors to place comments using Disquss that has become a social media platform where you can attract inbound links. The html title is important for SEO; usually you would like to define it differently than the readable title of the article (as the visitor is viewing it). This module is solving this problem and allows you to manage two titles individually. You can also give the HTML title a particular predefined format so that it is created depending on the content type. 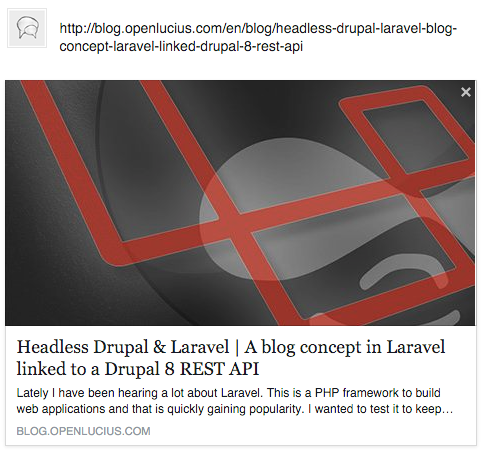 For example “Blog Lucius | 18 Drupal SEO modules and tools for better findability in Google”. Where ‘Blog Lucius’ is always automatically stated in the beginning of the title with a pipe (‘|’) in between. Pathauto is a widely used Drupal module: it converts standard Drupal (/node/123) links to readable links (/news/this-is-a-news-item). Useful for your visitors and thus for Google. Subpathauto is an extension of Pathauto: it recognizes sub-paths and automatically generates associated paths. The popular Drupal module Pathauto is useful for automatically creating nice URL’s. It is also possible to exclude particular content from an ‘automatic alias’ and then manually enter the URL. Pathauto sometimes ‘forgets’ that the URL of certain articles was manually set, and creates them again automatically. As a result the URL of your page could change without you realizing it, not handy.. This Drupal module is solving this problem: it makes sure that Pathauto remembers for which articles you have turned off ‘automatic alias’. Avoid duplicate content. Ensures for example that ‘node/123’ is no longer available, but only the search engine friendly URL. It also checks if clean URL’s are enabled and checks whether visitors have access before performing a redirect. It can happen that the title of an article needs to be changed, usually the URL is changing then as well. This module creates a 301 — Permanent redirect so that the users from an old URL are automatically redirected to the new path. This way Google also knows that the new URL needs to be indexed and that the old one can be removed. Necessary for an insight into your Drupal pages in Google’s Search console, see ‘Google Webmaster Tools / Search console’ above for more information. Download and more info on XML sitemap (Drupal 7, Drupal 8 info). Can clean the HTML of content so that it continues to comply with the W3C standards. Download and more info on HTML Purifier — (Drupal 7, Drupal 8 info ). A standard 404 page (‘page not found’) is providing rather brief information for your visitor. This popular module is changing this: it does not show a static page, but will search in your Drupal system and will show visitors results of pages they might have been searching for. This feature will also have a positive influence on the SEO of your Drupal system. 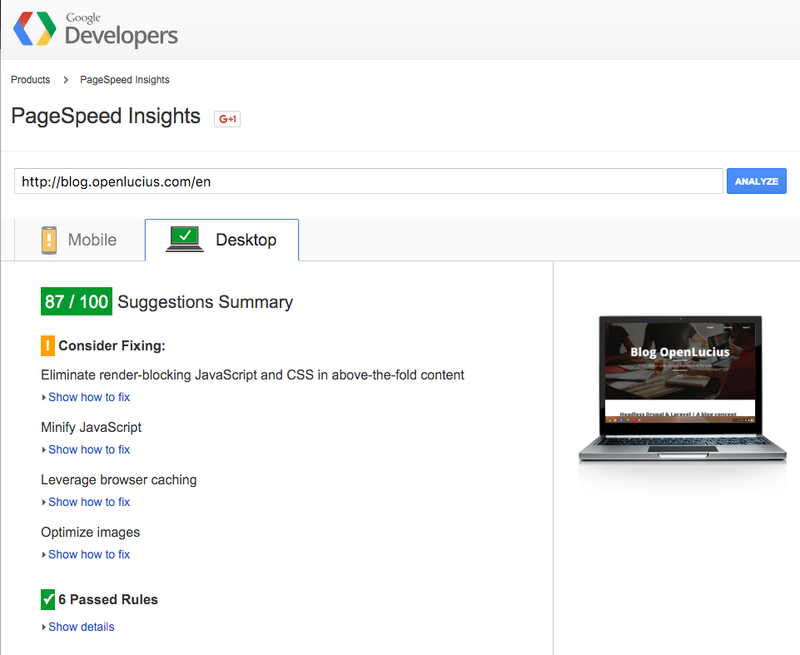 Useful mini module to verify your site in Google’s webmaster tools. Download and more info on Site verify — (Drupal 7, Drupal 8 info). Analyse your content and detect dead links, important to fix them for your visitors and thus for Google. Download and more info on Link checker — (Drupal 7, Drupal 8 info). Similar to the previously mentioned ‘Page title’, using this module you can among others change the (html) page title per term / tag. Add html elements to menu links: id, name, class, style and rel. This allows you to add among others ‘rel=nofollow’ to design the flow of links in your website better. Download and more info on Menu attributes — (Drupal 7, Drupal 8 info). Ok, enough SEO for now, hopefully you are not immediately conquering our ranking in Google ;-) Questions or feedback? Let me know in the comments.